im all confused lol. you know i was extending a compliment right? stop making bad financial decisions. Keep the car. if you willing to loose 4 to 5k on it, put half of that in your car and you'll have all kinds of aux cables in there and more. This interior is not bad at all, it's not like you have an 03-04 model. Keep the car and stop throwing money away. for a 6mt and those miles. 7500 obo is definitely good. i agree with joker. keep this car and enjoy it. I have contemplated selling mine... Got it 2yrs ago with 38k on it. Its now almost 60k, and I started thinking I wanted something I didnt mind messing up at the track. I've decided to just stick with the car though. I got minor front end damage (new grill/hood) from a parking lot bump and someone else hit the rear (new bumper cover). Either way, its going to show up as "2 accidents" even if they were both superficial. That hurt the value of the car enough that I'll probably just keep it. I paid a premium for it back in 2014 with 38k and mint condition. Unfortunately (or fortunately?!?) I actually drive the car every day. Its reliable, has decent power and all the creature comforts I want. I just feel bad racing it on road courses. It performs rather well, and is the easiest car I've driven on a track, but it doesnt look like it belongs there. But I digress... bump, and good luck with sale. Yes its modded, although slightly. It is a nice car, I don't know why you want to get rid of it. You are taking a loss by doing that--another bad financial decision on your end. Why would you do that when you still have a very nice car? If you want to eventually upgrade to a G37, pay down your loan a bit to a point where its not upside down in value. You can do it sooner if you have the cash available, or just pay the monthly payments and enjoy the car for a little while longer until you can upgrade. Stealerships pretend to hate cars that are modded. Truth is, not only do they NOT remove the aftermarket parts but, they advertise the car with those parts on them. When reselling the car, they know it will bring interested buyers and and eventually someone will buy your car but, stealerships will NEVER give you what you think it's worth. Plus your reasons for wanting G37 are futile at best. The G35 coupe is a better car and bang for the buck. An 05 G35 coupe comes with 298 horses and a G37S comes with 330 horses but, is heavier. The creature comforts your concerned with are easily remedied with upgrades from the aftermarket community and will add better benefits down the road. Bottom line, keep your coupe spend some money on tasteful modds and you'll be smiling all the way to the bank. I know I am. Plus your reasons for wanting G37 are futile at best. The G35 coupe is a better car and bang for the buck. 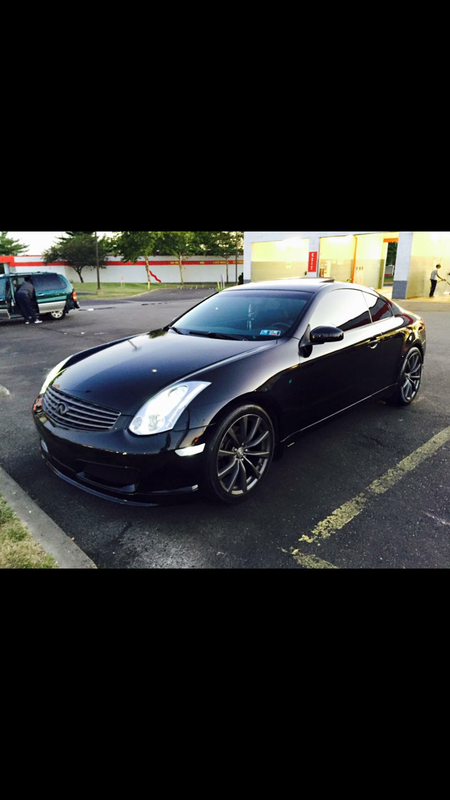 An 05 G35 coupe comes with 298 horses and a G37S comes with 330 horses but, is heavier. The creature comforts your concerned with are easily remedied with upgrades from the aftermarket community and will add better benefits down the road. Bottom line, keep your coupe spend some money on tasteful modds and you'll be smiling all the way to the bank. I know I am. Agreed. When I was looking at the G a couple years ago I was eyeing new BRZ/FRSs as well as the G35/37. The BRZ/FRSs are much lighter, but lack the creature comforts and power of the Gs. I compared the 37 to the 35 and saw how much fatter (not phatter) the G37 was. Its something like 250lbs heavier and has about 30more hp. I opted for the G35 for its relative lightness and I just happened to like the lines better. I'll give the nod to the G37s headlights, but the taillights look unfinished. It ALWAYS bothers me to see that 1 or 2 LEDs "missing" from the inner tail light, the circle is not complete. To each his own, but I agree with Mr.Brooks on this one.. Stick with what you got unless it keeps breaking. Here's my personal proof from MY OWN EXPERIENCE. A few years ago I had an Acura Legend coupe with a 5speed manual (great car). I installed an axle back muffler, intake, tokico struts and shocks with ground control coil overs all around. 17x7 rims with 225 45 17's all around, a stage 3 centerforce clutch, a few more engine mods, and upgraded the stereo. I almost forgot. I also installed an aftermarket 6000k hid lighting system. The car was Sirius white pearl (factory color and it was beautiful). I had the windows mirror tinted 35 percent all around. ALL MODS WERE TASTEFULLY DONE BY ME (except the mirror tint) I took it to a shop for that. I drove it for a few years and traded it in for a Honda Accord (4 cylinder with an automatic). Enter jokes here. Not only was the stealer ship happy to get my car with ALL THE MODS I INSTALLED but, they sold it two weeks later WITH ALL THE MODS I INSTALLED STILL ON THE CAR. How do I know this. My brother calls me and says, " I know who brought your car and that dude said, he's NEVER getting rid of it. If it wasn't for my wife then (now my ex wife) complaining about not being able to drive my car because it was a manual I would have never traded it in. I had so many people make offers to buy but, constantly turned them down and yes even the STEALERSHIPS wanted it because of the mods. So, that load of BS you give about the hassle they go through trying to sell it is nothing more than BS. Plus I've seen too many tastefully modded cars being sold by stealerships. Also, if I'm not mistaken. 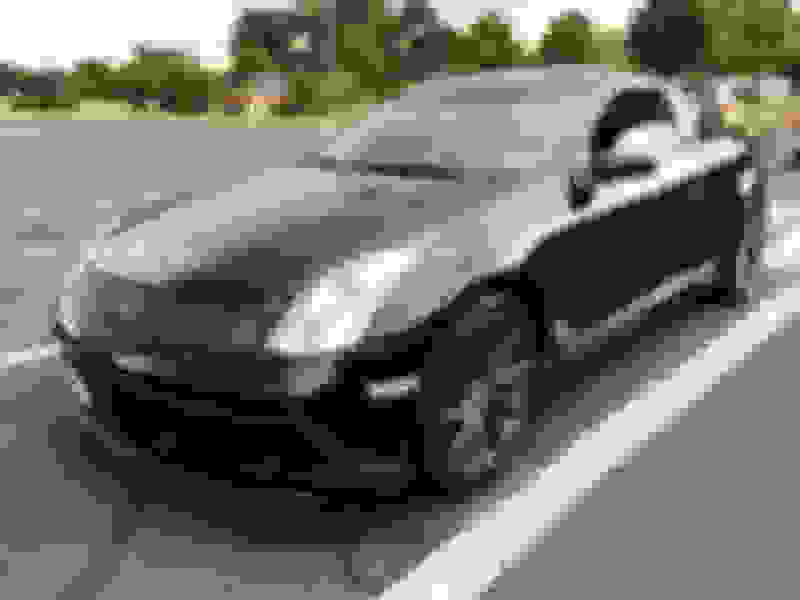 Someone on this forum bought a used G35 coupe from the dealer with modds already installed by the previous owner. I ran across a dealer selling a GT-R with the Alpha 12 package which produces 1200 horsepower and no it didn't sit on the lot for long. Your points proven wrong again, and again, and again. HA HA HA HA LMBO. I just realized. 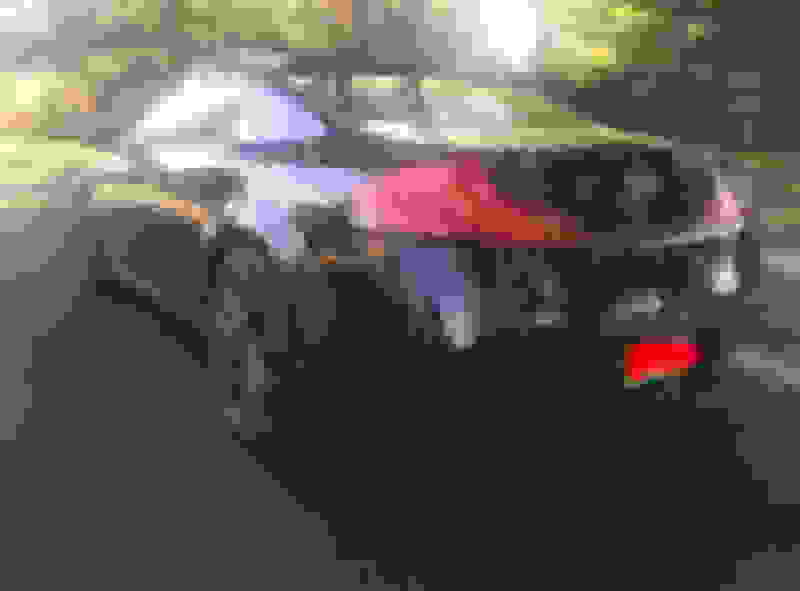 The guy who started this thread bought a used G35 with mods. High flow cats, nismo bumper, and G37 rims. Small mods but, mods none the less BAM...proven wrong AGAIN that dealership can't sell a modded car....LMBO, LMBO, LMBO. Last edited by Mr. Brooks; 02-07-2016 at 05:48 PM. While you have some good points, it really depends on each car and what mods have been done to it. There will be cars that are modded properly, then there are cars with ricey or crappy mods. So its about 50/50 depending on the location and the vehicle itself. I've seen some cars with terrible mods that dealerships won't touch, and others with good mods that can be good selling points. That's true but, to say dealerships hate modded cars is insane. Most cars when traded in have a few mods to some degree.